National food holidays are rampant -- don't forget National Mushroom Day is this month! -- but the one that lands on October 4 is damn serious. National Taco Day is a holiday that demands respect. Everyone should be training for it and banks should be closed. Not the real training of sweating day after day and working hard, but more of a Rocky-style training montage. The training is necessary because there are a ton of taco deals on National Taco Day. Moe's Southwest Grill is going to be part of that celebration. 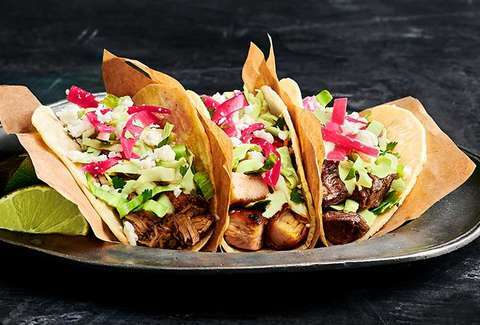 The fast-casual chain with a Chief Taco Officer is running a buy-two-get-one-free taco deal from October 4 through October 7. Wait. Is that BTGO then or is it still a BOGO? Buy-one-order-of-two-tacos-get-one-free? BOOTTGOF? Either way. Free taco! The sheriff of Taco Town. To get yourself into a small pile of tacos, you'll have to download the Moe's mobile app. Once you've got that, twiddle your thumbs until October 4 when the offer will be dropped into your account. Then you're on your way to taco heaven. If Moe's isn't your game, Thrillist has a running list of National Taco Day deals to help you find the taco that makes you want to say "I do." Want more free food and food deals? Here's our running list of all the free food you can get right now. We even have a roundup of the best pizza deals you can get from national chains. You're welcome.